A message viral on Twitter and other social media platforms purports to show a Picture of India’s first Prime Minister Jawaharlal Nehru Performing Kumbh Snan in 1954. Kumbh Snan is taking a holy bath (dip) in a sacred Hindu river during Kumbh Mela. No, the picture does not show Nehru Performing Kumbh Snan in 1954; its actual backdrop is explained below. Kumbh Mela is a popular Hindu pilgrimage of faith in which millions of Hindus gather to bathe in a holy river. Triveni Sangam, the confluence of the three holy rivers Ganges, Yamuna and “invisible” Saraswati, is considered sacred by Hindus. It is located near 16th-century Allahabad Fort. In 2019, Prayagraj Ardh Kumbh Mela is held there in Uttar Pradesh, India from 15th January to 4th of March. Hindus believe bathing in the holy rivers during the time of Kumbh Mela cleanses a person of all their sins. 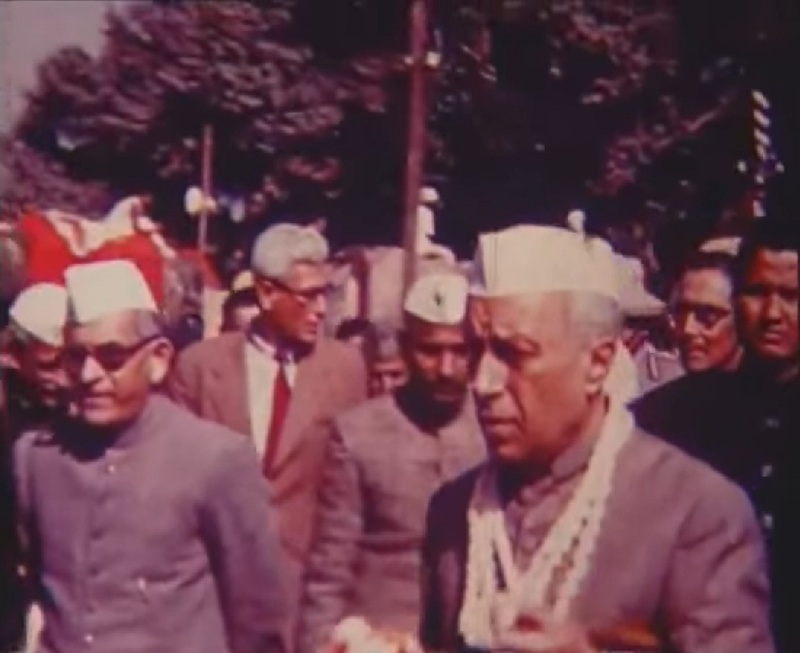 Nehru Performing Kumbh Snan in 1954? It is a fact that a Kumbh Mela took place in 1954 and it attracted 4-5 million pilgrims that year. The 40-day festival of Kumbh Mela of 1954 held in Allahabad is also infamous for a tragic stampede that happened on the main bathing day of Mauni Amavasya (New Moon) on 3rd February. Since it was the first Kumbh Mela after Indian Independence, many politicians also visited the holy place. 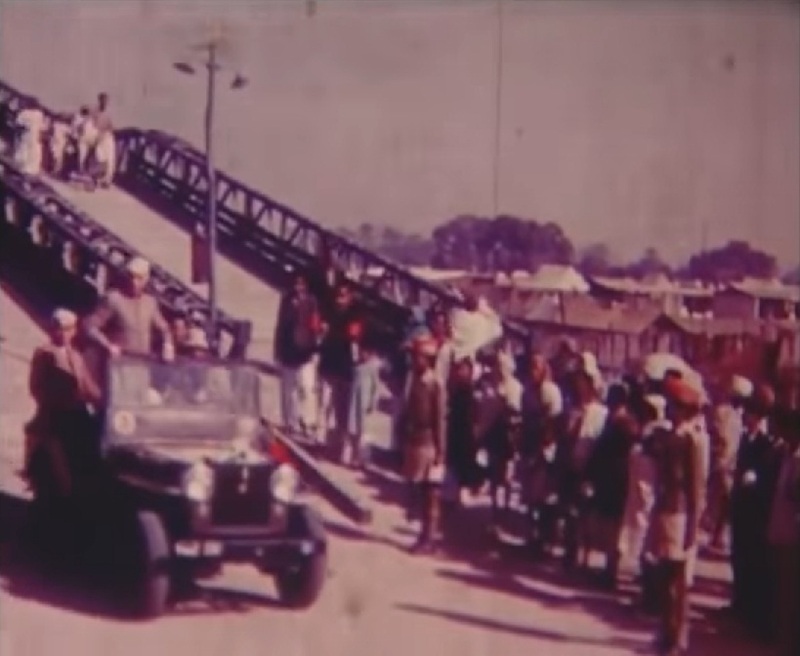 Prime Minister Jawaharlal Nehru also visited the places around Kumbh Mela in convoy to monitor the preparations. It is however unclear whether he took a dip in the holy river. Nonetheless, the picture in question does not show Nehru Performing Kumbh Snan in 1954. The picture in fact shows Jawaharlal Nehru after immersing his mother’s ashes in Allahabad in 1938. Nehru’s mother Swaruprani Thussu died on 10th January that year. It is not a photograph from 1954 Kumbh Mela. We have seen the picture appeared with actual description here, here and here. In this case, the false description of image appeared in some Twitter posts like here and here. Later, another Twitter user Bhaiyyaji mentioned it and clarified the same, adding the photograph is also available at Anand Bhavan, a historic house museum in Allahabad.